A Connecticut official said the mother of the gunman in the Connecticut massacre was shot four times in the head before her son went to the elementary school where he gunned down 26 people. Adam Lanza then killed himself with a single bullet to the head from a 10 mm gun, and the bullet was recovered in a classroom wall. As CBS News' John Miller reports, officers responding to the emergency calls from Sandy Hook Elementary School had fleeting glimpses of the black-clad gunman as he prowled the halls of the school. "The first police officer on the scene was confronted by the glass window that Lanza had shot his way through to get past the locked door. The officer advanced into the school and saw the gunman, from a great distance down a long hallway, perhaps a couple of hundred feet. The gunman, dressed all in black, spotted the officer and ducked into a room off the hallway. As the officer, now joined by a partner began to rush down the hall toward the gunman they heard a volley of shots. When they got there, they found the gunman, dead from a self-inflicted gunshot wound. Just beyond the gunman, in a classroom, children huddled together, and their teacher, all of them shot multiple times. Nearby, in a bathroom another group of children, huddled together, all shot multiple times. It appears that the gunman let go a last volley of shots at his victims before killing himself with a single bullet to the head." In the chaos that followed one of the worst mass shootings in U.S. history, a profile has haltingly emerged of an isolated, home-schooled youth who had very little of the Facebook/Twitter/text message presence favored today's young people. It's as notable for what is not known about Adam Lanza in an era of digital sharing. "In this age of living out loud, the electronic footprint ... we found scant evidence that he had a profile online," said Miller, a former assistant director for the FBI. "The story is growing that he was a young man onto himself." Reporting by Miller, "48 Hours" correspondent Troy Roberts, and other CBS News correspondents paints a picture of a shy, awkward kid who was also described as "brilliant" and "a genius." "He really was a computer geek,'' said Lanza's aunt, Marsha Lanza of Chicago. "He was a very bright boy." Marsha Lanza said Adam's mother, Nancy Lanza, had disputes with the local school district and eventually ended up home schooling Adam. She could not confirm reports that Adam Lanza had Asperger syndrome or any other learning disability. 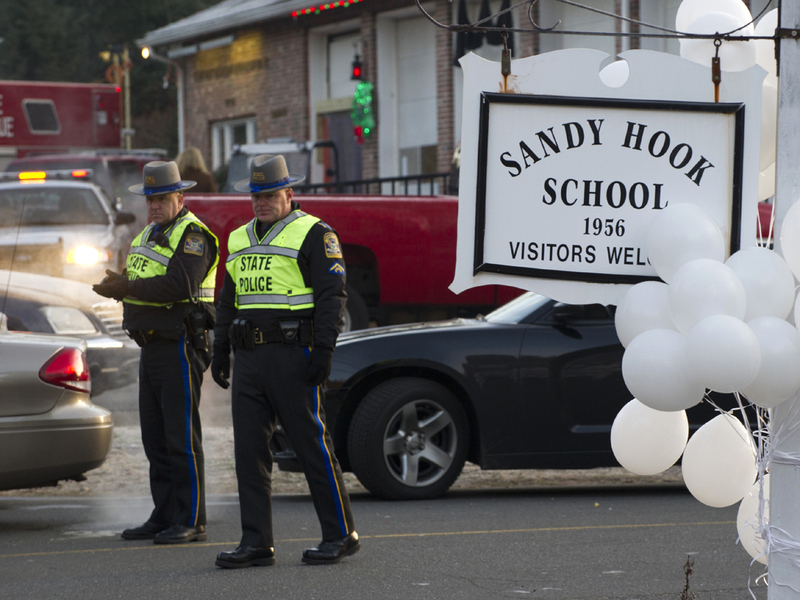 Sources tell CBS News that Adam Lanza did attend Sandy Hook Elementary School at one time, although it's currently unclear when and for how long. "[Nancy] had issues with school ... She battled with the school district,'' said Marsha Lanza. "I'm not 100 percent certain if it was behavior, learning disabilities, I really don't know. But he was very, very bright. He was smart." Nancy Lanza was found dead in the Newtown, Conn., home she shared with her younger son. Police believe Adam Lanza killed his mother, and then collected guns registered to her in their home to use in his rampage at the elementary school. A law enforcement source said that in addition to four weapons connected to the mass shooting -- three on Adam's person, and one in his car -- there were two other weapons found in his mother's home. Police are tracing all six weapons as to where and when purchased and registration, reports CBS News investigative producer Pat Milton. Two law enforcement sources tell CBS News' Milton that Nancy Lanza was found shot to death in her bed. CBS News' Bob Orr reported Sunday morning on "Face The Nation" that police found two smashed computers in the home. Law enforcement authorities have collected the computer pieces to see what information might be retrieved. Neighbors told CBS News that Nancy Lanza was a gun enthusiast and often took Adam Lanza target shooting with her. The aunt said Nancy Lanza kept guns for own safety, and had something of a survivalist mentality; she was worried about protecting her home if the economy went south. Money was not an issue for the family; Nancy Lanza received a healthy support payment from her ex-husband, Peter Lanza. "She didn't have to work. My brother-in-law left her well off," said Marsha Lanza. A friend of Nancy Lanza, local landscaper Dan Holmes, said he believed that Adam's father was not a large presence in Adam's life. Nancy Lanza evidently still suffered from a bad divorce and could be "pretty vocal" about her ex. "I don't believe the kids saw their father at all," said Holmes. "She was pretty vocal about her ex-husband ... years afterwards." CBS News' Pat Milton reports source briefed on the investigation said Nancy Lanza was demanding of her children. Even though Adam was highly intelligent, she pressed him to high standards and even pressed her sons to measure up at the shooting range where she taught them to shoot, the source said. Young residents of Newtown who knew Adam Lanza described him as uncomfortable in groups, shy, and that there was "something off there," reports "48 Hours" correspondent Roberts. In the chaotic hours after the mass shooting, Adam was initially confused with his older brother Ryan Lanza, who lives in Hoboken, N.J. Ryan Lanza was taken in for questioning Friday but later released. It appears, as of now, that he was not involved in the shooting. CBS News' Miller notes Adam apparently grew up in the shadow of a more successful older brother. "He was very different from his older brother, who had gone to college, and gotten a job at a brokerage firm," said Miller. As CBS News' Miller notes, there's been very little paper trail for the 20-year-old Lanza. "It's been a mystery. ... He got his GED a few years ago ... but there's no picture of him holding a job or getting higher education." "Our hearts go out to the families and friends who lost loved ones and to all those who were injured. Our family is grieving along with all those who have been affected by this enormous tragedy. No words can truly express how heartbroken we are. We are in a state of disbelief and trying to find whatever answers we can. We too are asking why. We have cooperated fully with law enforcement and will continue to do so. Like so many of you, we are saddened, but struggling to make sense of what has transpired."